Beauty takes the form of this jumper that you must grab this season. 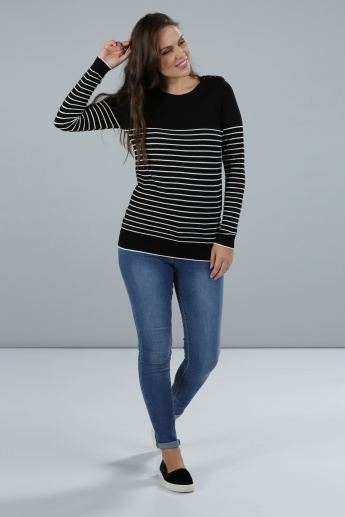 The combination of stripes, long sleeves and the button detail make this a trendy item. Additionally, the soft fabric keeps you warm.